All our home models are designed to be energy efficient and socially responsible. We start with the building's structure which is structural insulated panels (SIPs). The environmental impact of using SIPs is significant. The use of SIPs reduces framing lumber and jobsite construction waste. The tight building envelop that SIPs creates leads to long term savings on energy costs, better indoor temperature control, and shorter construction time. All materials and methods are chosen for their sustainable or "green" properties by a LEED accredited professional (Leadership in Energy and Environmental Design). Low and/or no VOC (Volatile Organic Compounds) paints and sealers improve the indoor air quality; strategically placed windows allow for natural day-lighting and cross ventilation; and modern detailing requires less materials. High efficiency heating and cooling units and Energy Star appliances are specified to create a comfortable home and reduce energy costs. As we begin to customize your new home we will collaborate with you to identify sustainable elements to be incorporated into your home's design. Photovoltaics (PV) capture the sun's energy and convert it into electricity while reducing your carbon footprint. If your power company does net metering, any excess power generated by PV panels would be sent out to the grid for credit. Rain water can be captured in barrels for exterior use or in a cistern for purification and use throughout your home. The homes are shown with green roofs that reduce storm water run-off, provide additional insulation, and increase the life of your roof membrane. We are all stewards of Earth's natural resources. 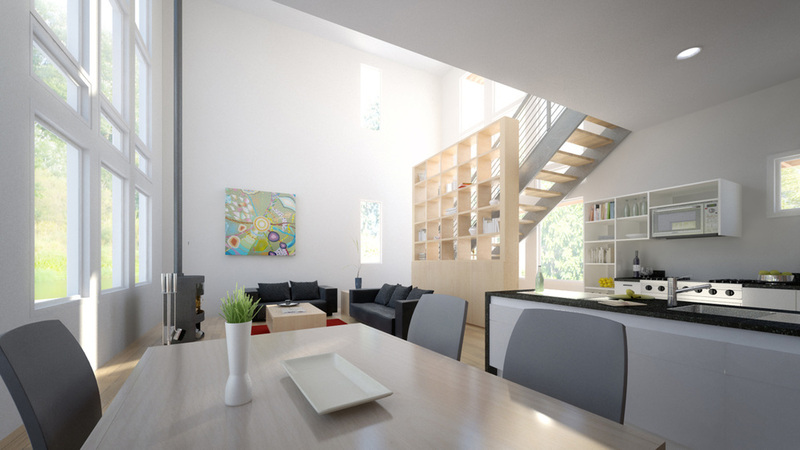 The home you are purchasing is efficient in size, all under 2,000sf, minimizing the use of construction materials. 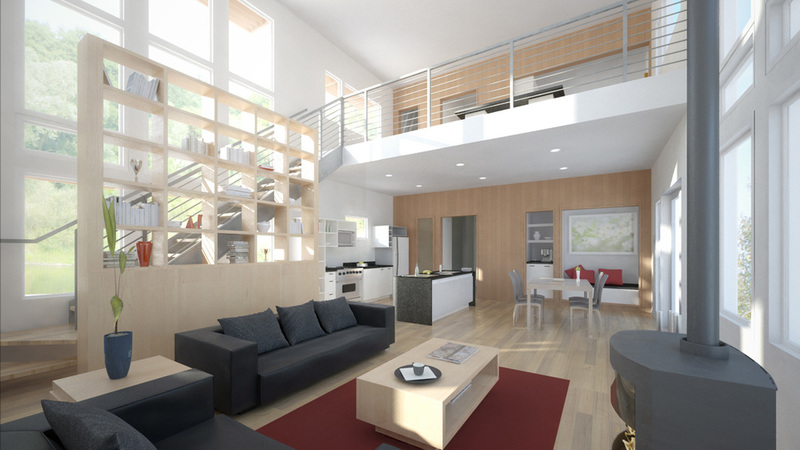 The homes are designed to be energy efficient and can be customized to be Net-Zero. This translates into a home that is cost efficient to build and to maintain throughout its life.